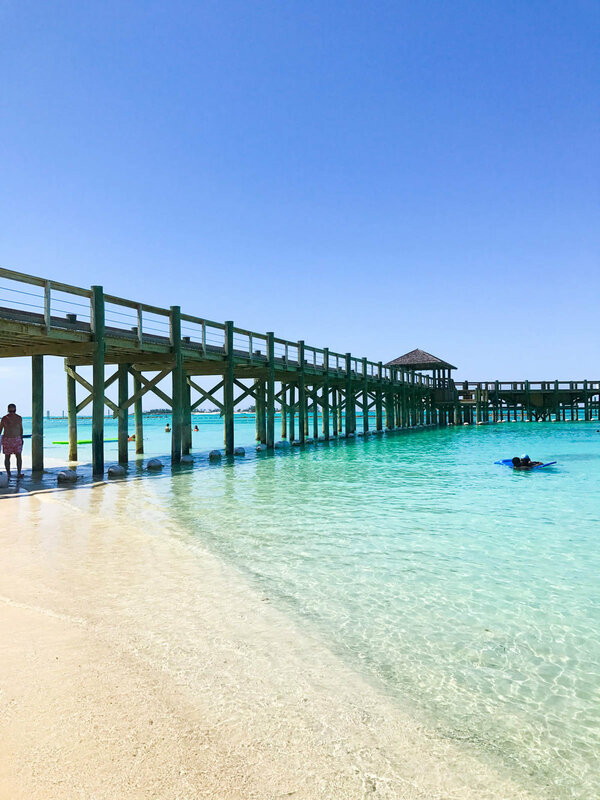 The Bahamas are made up of 700 islands all with sparkling crystal clear turquoise waters with the majority of the year the sun shining down to get the perfect tan lines. This country is the perfect place for beach lovers who want some fun in the sun and also be surrounded by entertainment, relaxation and a well designed oasis. I was completely blown away with the complexity of this complex and how well they have designed this exciting vacation spot! I have broken it down to the 3 resorts that make up the Baha Mar resorts. Each resort caters to different types of guests and their personal vacation preferences. You will find your perfect vacation experience once you read the below about of these resorts. Let me know which resort is calling your name! The grounds are beaming with pastel colors and lush greens with adorable features everywhere you look. I was even surprised by their individual restrooms throughout the beach area that are striped little huts.. 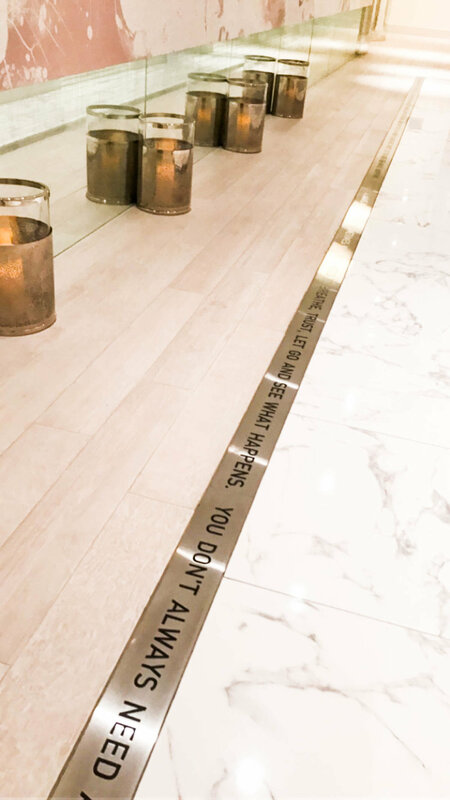 I mean when the bathroom is cute, that says a lot! This playground of a resort will make your hardest decision each day whether to get in beach time or to lay poolside at one of the 11 pools the complex has. They even have a pool with a cave where you can jump off into the water and a aquarium you can view the fish from the above sanctuary. This whole area is just so amazing for families. The water sanctuary has sharks, sting rays and sea turtles! Such a great way to explore with the kids and its all included! The beach has the best raft options I have seen as well as kayaks, paddle boards, and snorkel gear-again all included. 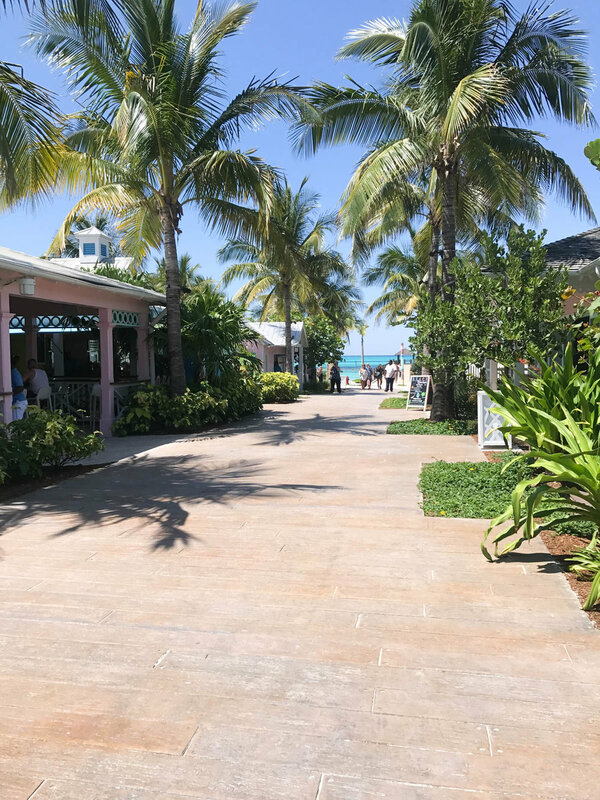 It also has Pier jutting out into the ocean which surrounds you in all the turquoise perfect for a middle of the day stroll or to immerse yourself in the sunrise and sunsets. Just when you thought it couldn’t get any more fantastic, upon exploring the grounds, you will find colorful food trucks which are made from cute airstreams. 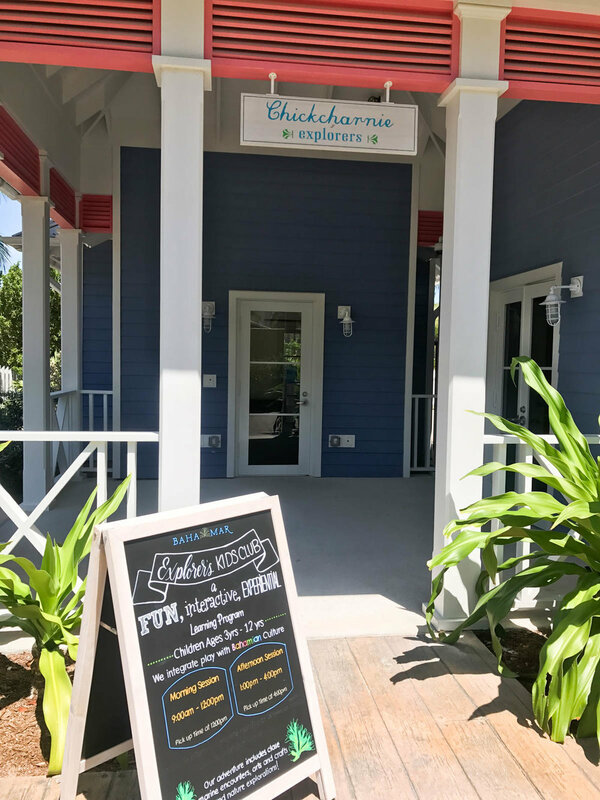 They have tacos, poke bowls, and even a conch salad bar and gourmet hot dog options! This is a great 'grab and go' choice for your day on the beach or the pool. They even serve daiquiris and great margaritas! They're SO cute and the tropical vibe make you feel as if you just landed on a movie set in paradise! The three main restaurants are Cleo, Katsuya, and Fi’ Lia. At Cleo, which is a Mediterranean style restaurant, I highly recommend the “Spicy Cigars” as a starter, and the pappardelle. This also is the morning breakfast buffet on the SLS side with an impressive spread of fruits, an omelet station, pancakes and waffles, chai puddings and mimosas. It was so nice to come relax here each morning before the day started. Katsuya is an upscale Asian restaurant with some amazing sushi options to choose from and special drinks! Here I recommend the rock shrimp and the Katsuya Fresh for a cocktail. Fi’ Lia, the Italian restaurant, will make you think you’re in Italy! The salads are freshly prepared right at your table. 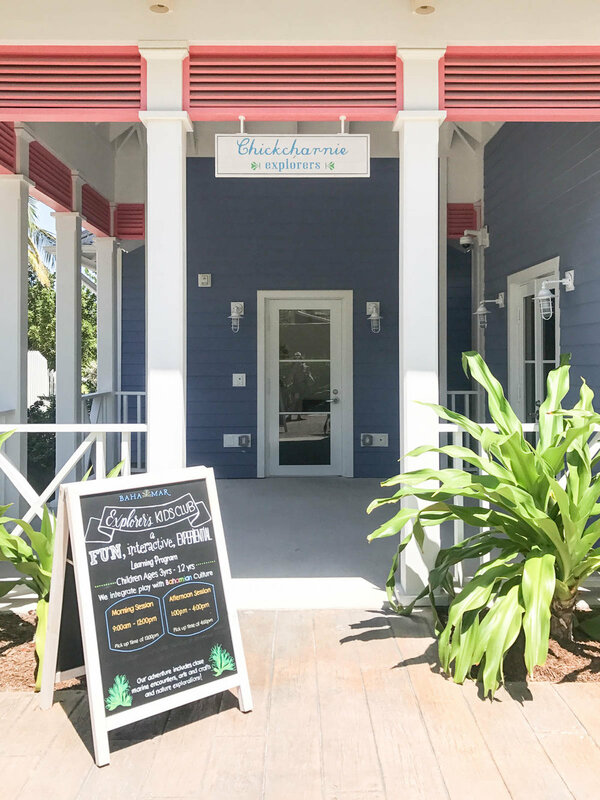 They have many other casual restaurants and pub style options, like The Swimming Pig, which has a local feel that will bring the sports bar type of atmosphere right to you. They have multiple bars around the resort, The Monkey Bar being my favorite and great for a pre-dinner cocktail. For adults that want a good time or to let loose, they have a 24 hour casino that resembles the feel and look of the Wynn in Las Vegas with a sports bar. They also have a night club called BOND that also resembles Las Vegas and goes into the late hours of the morning. The first night I arrived I went all out and I kept thinking I was in Vegas. If you’re still looking to let loose but not looking for the nightclub feel they have the swanky cigar bar T2, which is owned by Justin Timberlake and Tiger Woods. Here you'll find fun drinks and a full menu of cigar options great for the outside tropical vibe. It’s not a vacation unless you take some time to SPA! 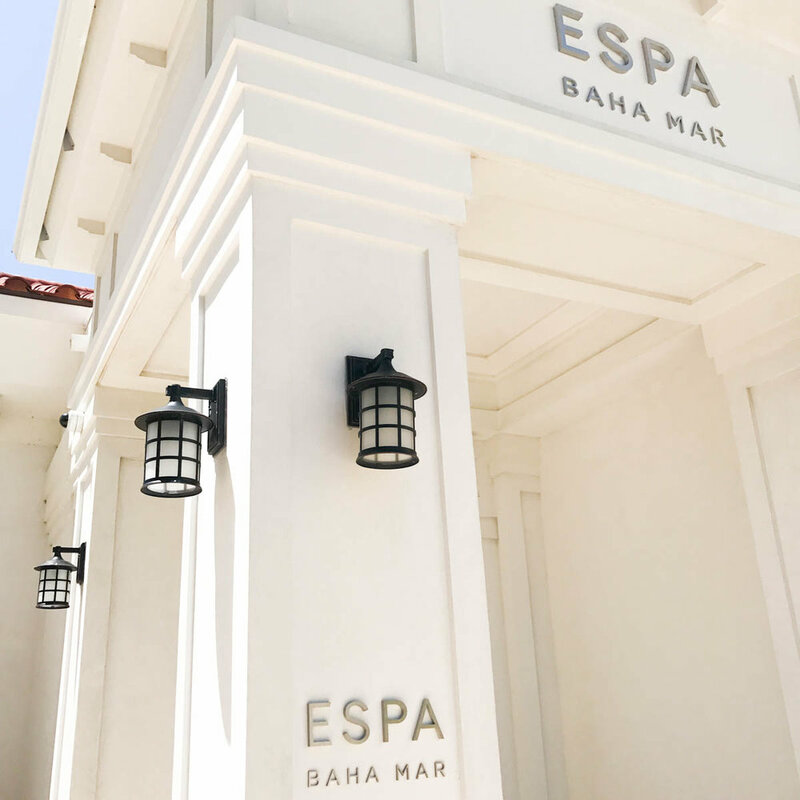 They have a beautiful 30,000 square- foot ESPA branded spa with complimentary access for all 3 resorts to enjoy the amenites (steam, sauna and relaxation areas). 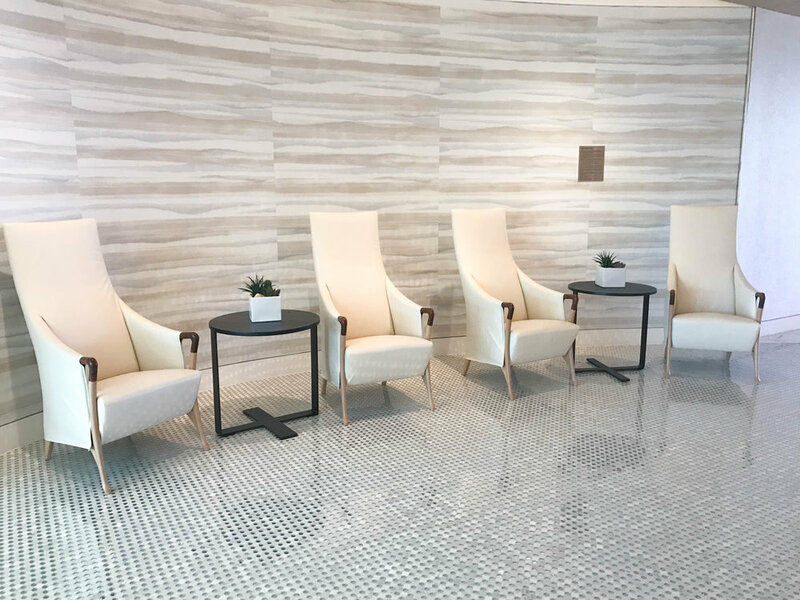 The marble accents of the spa continue the luxurious experience. The cute boutique area has some of my favorite brands including ESPA, COOLA, Mala and Mantra. 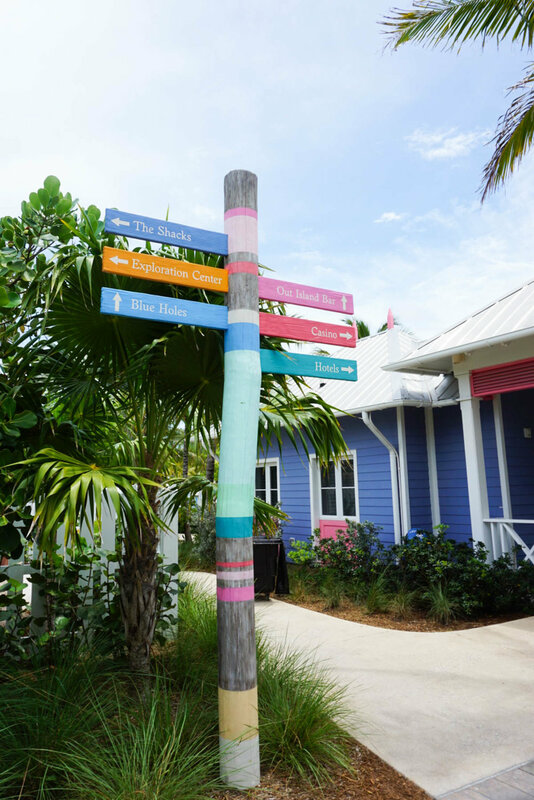 Portrays style, luxury and a hip Bahamian boutique feel throughout the resort. The guest rooms are every tone of white with the fun pops of gray and turquoise. The hotel itself is pink with the surrounding pool areas consisting of multiple pastels. 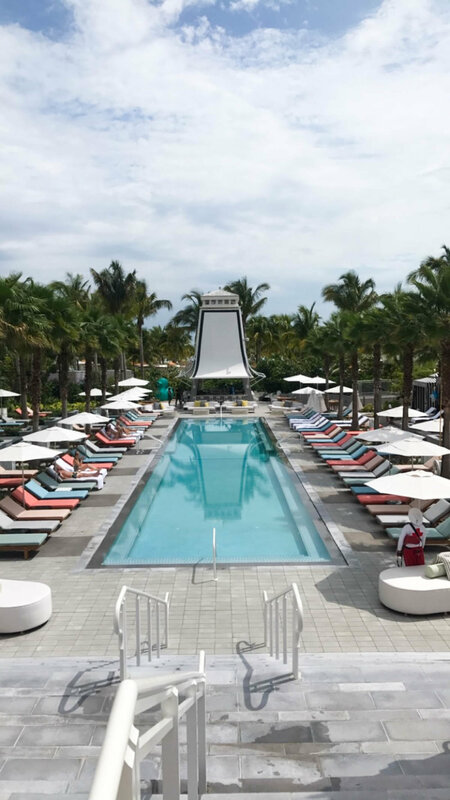 -Adults only Privilege Pool “party pool”: The daybeds in the water and bottle service will have you immediately feeling like you escaped the family feel of the other parts of the Baha Mar Resorts. It has an impressive resemblance to Las Vegas with the day beds, cabanas and ladies who deliver your bottles with sparklers. Bungalow Pool: While the bungalow pool still has music (not as loud) and a more relaxed feel, you can come to this pool as a family and relax in the sun. 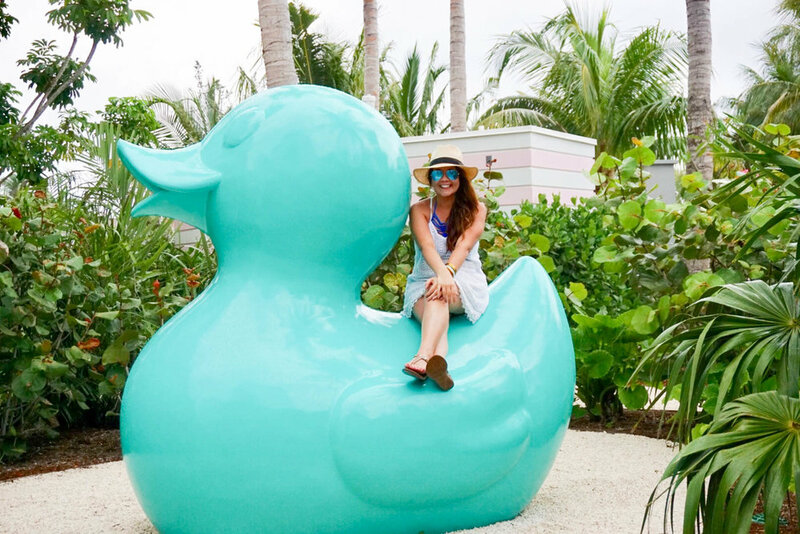 They even have a fun large turquoise “rubber ducky” that screams the fun vibe! Both of these pools have great lunch options (try the mango shrimp salad and avocado fries!). 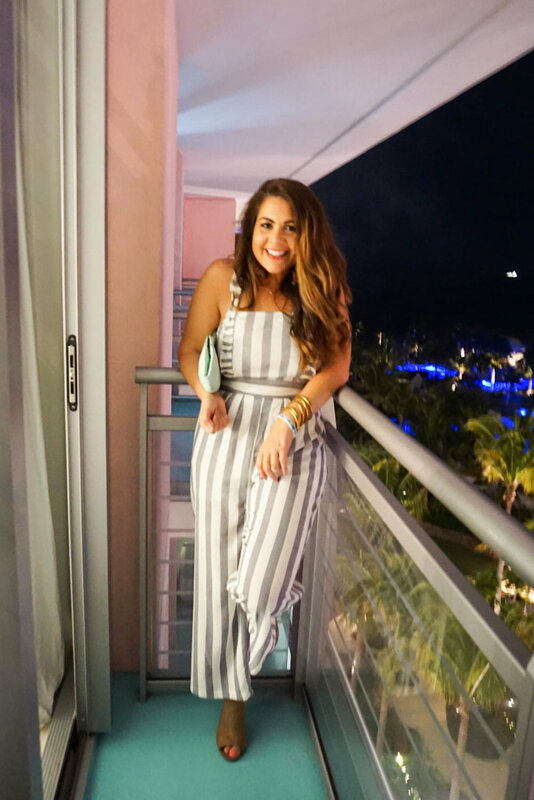 The Ideal Guest for SLS: hip, trendy couples that want a little more of the party vibe and feel. Also great for bachelorette parties, Birthdays and groups of friends traveling together. It has that NY/Miami/LA feel. The largest of the 3 resorts with 1800 rooms and suites with 4 different styles, almost making it feel like 4 different hotels in one hotel. Originally, it was intended be divided into 2 hotels (there is 2 towers). You will find that this hotel has the lowest rates of them all. The rooms have a modern tropical feel with local art and tones of red and blue. They have your standard rooms all the way up to the Reserve level which is considered their luxury wing. This area resembles more of a nautical feel how a yacht would look. Of the 11 pools they host the majority of them (6), with all family options, as well as kids programs. 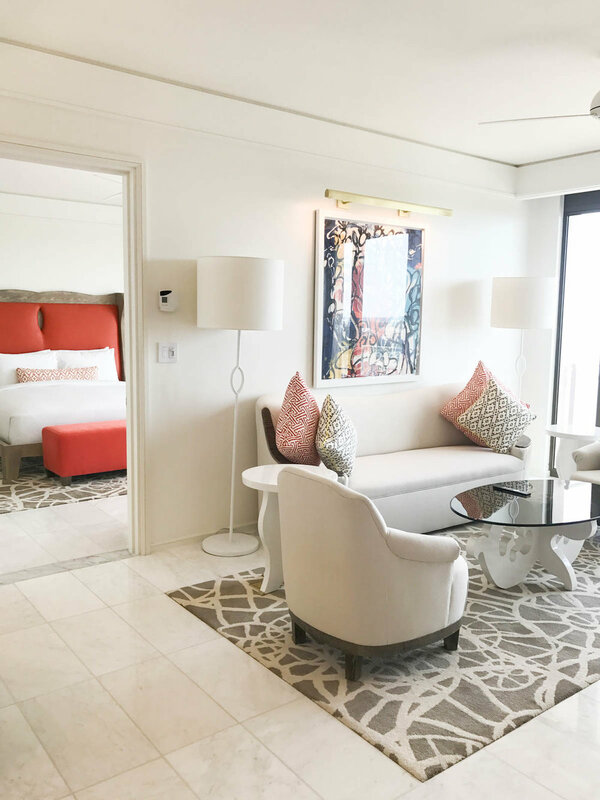 The Ideal Guest for the Grand Hyatt: Great for families, and couples or groups of friends that want a more low key atmosphere and a comfortable feel. Opening SOON! I was most excited to see this property and it truly won’t disappoint. I got a sneak peak tour as they are in the process of pre-opening. The rooms are all beautifully setup with every detail down to the customizable mini bar’s and butlers in every room. They will also have Villas which will be perfect for families that want to be right on the beach. The Rosewood brand is known for their impeccable service and this will be without a doubt the most luxurious resort in Baha Mar. 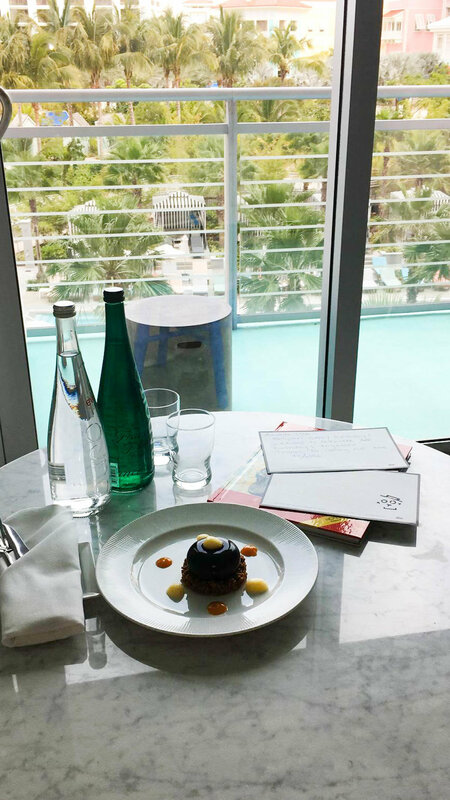 The Ideal Guest for Rosewood: Guests who appreciate the best of the best, and the highest level of service. Great for families who want more privacy and the personalized service. It's perfect for couples who are looking for a relaxing, luxurious getaway, but still desire the option to venture into the nightlife and action. *Stay three nights and receive the fourth night free during select dates from June 1 – October 31, 2018. 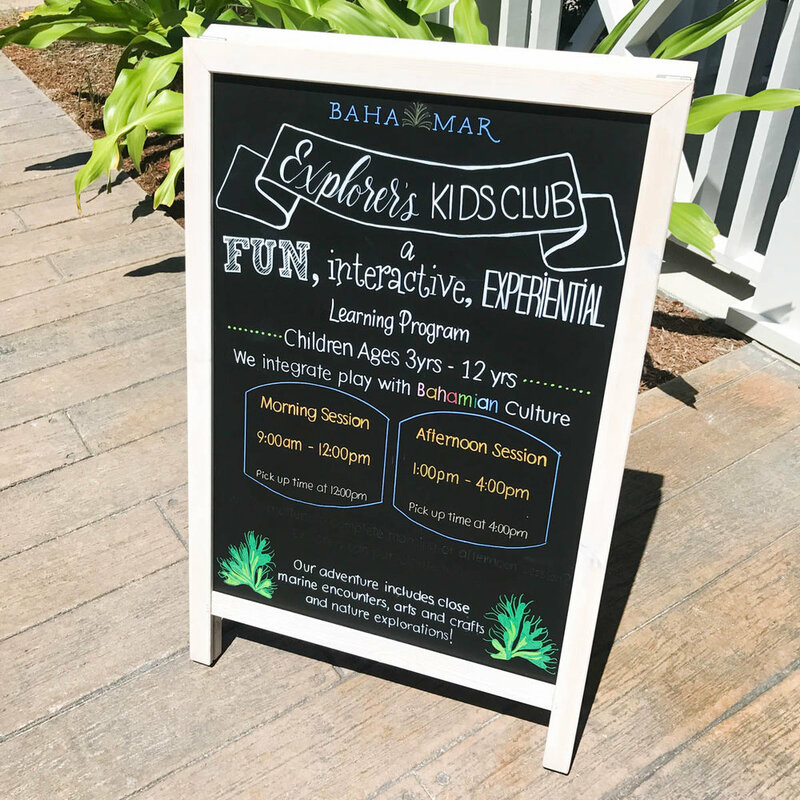 Reach out to abell@smartflyer.com if you are interested in staying at one of the resorts at Baha Mar and receiving the extra perks!